A wax figure of British Prime Minister Theresa May, stepping out of Number 10 Downing Street in a red power suit and leopardskin kitten-heeled shoes, has been unveiled at Madame Tussauds. The London’s waxworks museum’s creation projects an air of strength and permanence, perhaps in contrast to the real May, who is battling multiple crises; with several of her cabinet ministers embroiled in scandals, open strife in her party over how to deliver Brexit and persistent debate about her suitability for the job. 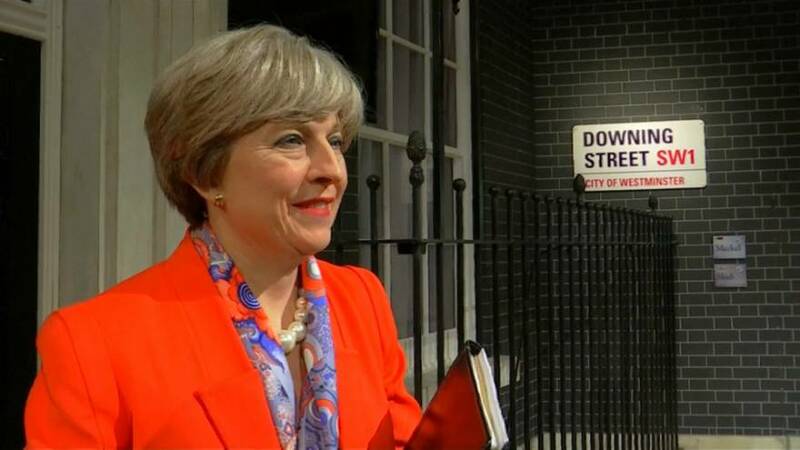 But there was no sense of the chaos in the scene presented by Madame Tussauds, which shows a smiling May holding a smart black folder and stepping forward from the famous black door of her Downing Street office. The wax May will now reside at the museum in close proximity to the likenesses of other world leaders including U.S President Donald Trump and German Chancellor Angela Merkel.